Sabine is a design student at our Campus in Vienna. She is currently studying Graphic Design - but that's not all! In cooperation with the University of West London Sabine is preparing for her Bachelor Degree BA (Hons) Photography. Therefore she works hard and always has her eyes and ears wide open for new experiences. "The photo was taken by accident during a walk through the Prater in Vienna. I saw the colorful neon lights and wondered what it would look like in the camera. So we spontaneously had a photo session during our walk." "I've discovered how much photography satisfies me." "The photo assistant course totally motivated me to focus my attention on photography. After all, it's a lot of fun!" 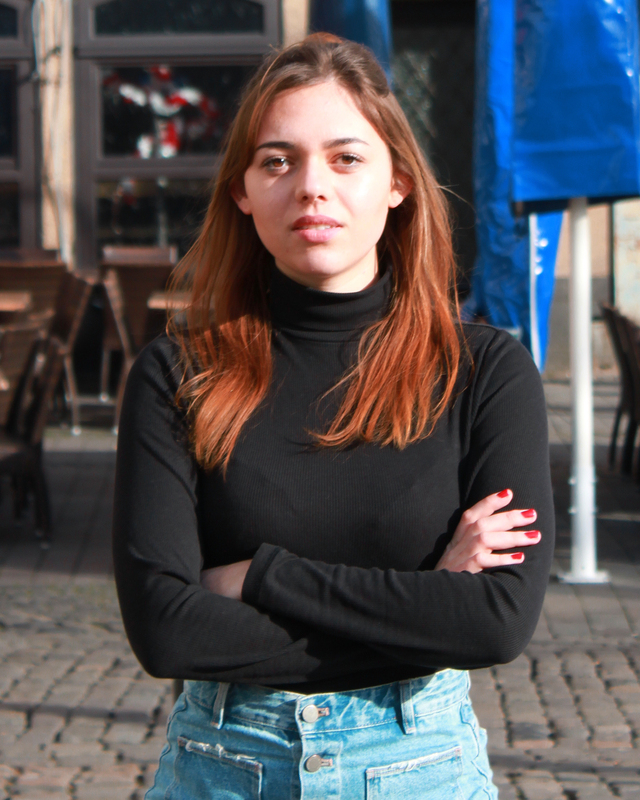 She is also studying journalism and communication sciences at the University of Vienna and wants to expand her talent as a graphic designer and photographer. " At the POP, I like the opportunity to learn in a practical way - so you expand your knowledge and automatically develop new skills". in this picture. It is real and intimate - one of the many reasons why it became our cover for April in this year's Campus Calendar. Sarah graduated in Stuttgart with the Diploma Media Reporter and presents the background stories of our students, graduates, lecturersand partners.